Bingo Love is a powerful and heartfelt romance story that has a tremendous amount of diversity and representation that adds to a wonderful tale of a hard fought for love. 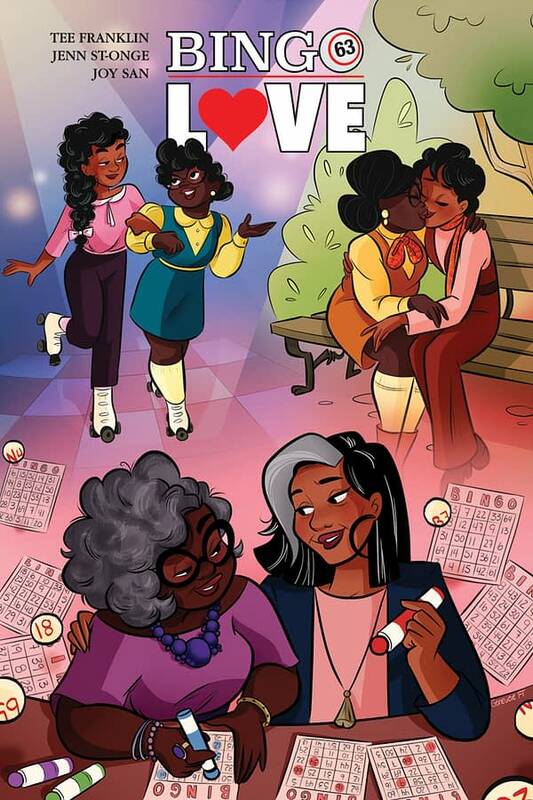 Bingo Love is a comic that was successfully Kickstarted by Tee Franklin — well, to say it was “successful” feels reductive. In truth, it was wildly successful, showing that a diversity of love, of age, of body representation, race, and oh so much more was exactly what a large audience was looking for. Created with Jenn St-Onge, Joy San, and Cardinal Rae, Bingo Love proved so popular that it has in fact been picked up for release through Image Comics, and will be available to buy starting on Valentine’s Day 2018. Valentine’s is a perfect day for it, too, as this book is filled with so much love and romance. It really is a delightful, sweet, and poignant look at a love fraught with difficulty, joy, sadness, loss, and commitment. Bingo Love, in fact, shows a great deal of the breadth of emotion that love can cover. Some may argue that it presents a romance unchallenged by the day to day of life with kids, jobs, and the traditional travails of married life. However, that is what romance in fiction often is — few are interested in the day to day of a lived in married life so much as the heat and passion of that first moment, of the whirlwind relationship, etc. But more than that, Bingo Love does indeed show plenty of travails that show a love fought for — one that has weathered the greatest obstacles and difficulties and shows true commitment. Filled with drama and a range of emotions in this romance of decades, Bingo Love is powerful, moving, and shows the kind of issues that have faced queer romances through the ages (and even still to this day), without standing on a soapbox about it. The protagonists, Hazel and Mari, are well rounded (particularly Hazel), and the reader easily feels for them and what they have gone through in their lives that held them apart for so long. It effectively shows just why their love is something worth fighting for, even through a complicated and emotional minefield that includes not just themselves, but their families. St.Onge and San’s work on the OGN is beautiful, not just in and of itself for its detail and brightness and openness, but also in the sheer amount of diversity they effortlessly include. For all those that try to argue that putting in diverse figures and representation sometimes wouldn’t make sense or feel forced, this book goes to show it doesn’t have to. A broad range of race, body shapes, and sizes and more is clearly shown and included naturally, and it is stunning to see. Inclusiveness in this book is at a premium; even if the character doesn’t have a line or direct role to play, it is seen as an opportunity to present another chance for someone to see themselves in the work. 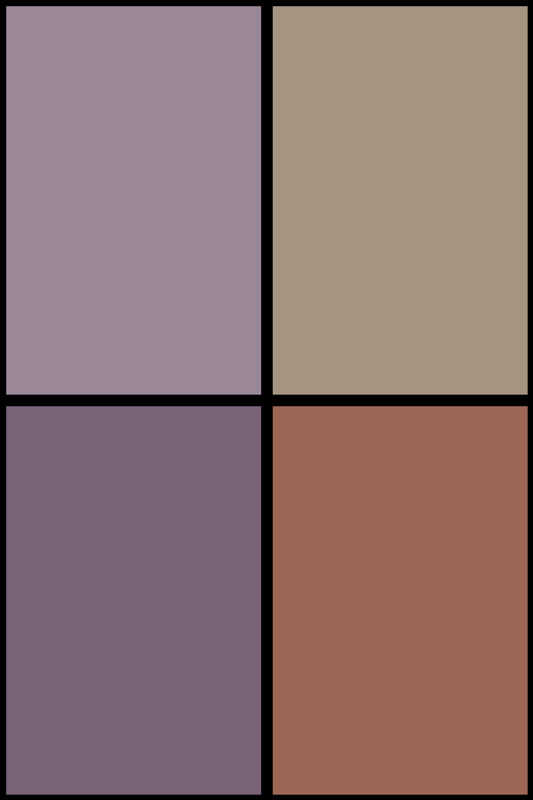 Bingo Love is a strong and beautiful romance and tale of love, family, and inclusiveness with a powerful effort at diversity and representation that would be great to see more of in comics. This is well worth checking out for anyone needing a touch of romance in their lives. The Wicked + the Divine Christmas Annual #1 Review: Oh Hot Damn, Spicy Christmas!